Want to master Raspberry Pi and become a full-fledged robotics master?The Complete Raspberry Pi 2 Starter Kit gets you a Raspberry Pi 2 Model B and all the hardware you’ll need, plus over 120 expert-taught lectures to help you master this DIY platform. It’s on sale now for 85% off, but you can save an additional 10% with code RASPI10. 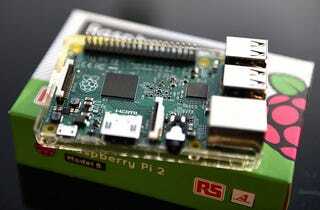 Before you can go building your own awesome Raspberry Pi projects, you’ll need some programming and electronics know-how. That’s why this all-inclusive bundle is so appealing - not only do you get the latest Raspberry Pi microcomputer, you’ll get lifetime access to some top-notch training resources to help you learn along the way.